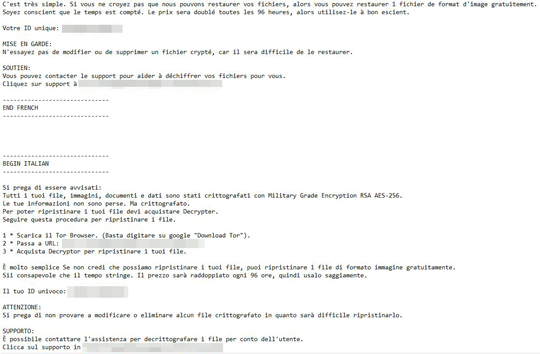 This Ransomware arrives as an attachment to email messages spammed by other malware/grayware or malicious users. It arrives on a system as a file dropped by other malware or as a file downloaded unknowingly by users when visiting malicious sites. It connects to certain websites to send and receive information. It is capable of encrypting files in the affected system. 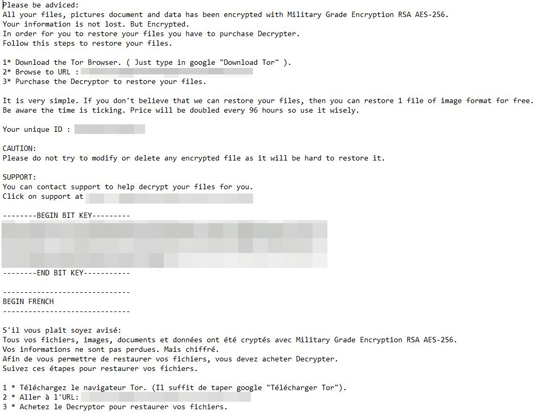 This Ransomware arrives as an attachment to email messages spammed by other malware/grayware or malicious users. It is capable of encrypting files in the affected system. In the File name* input box, type the name of the file that was detected earlier. Repeat steps 2-4 for the remaining files. In the Search Computer/This PC input box, type the name of the file that was detected earlier. Repeat steps 2-3 for the remaining files.